We liked many things about the Honda HSS928ATD 270cc Two Stage snow blower, starting with its ease of use and the comfort it provides, despite the bulky design. 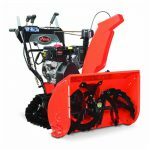 We also loved the powerful engine and the serrated auger that manages to cut throught ice, as well as the adjustable auger that makes it suitable for any type of terrain. 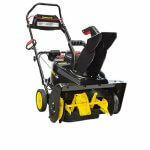 Large yards need a powerful and durable snow blower that will be able to handle heavy amounts of snow. 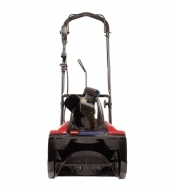 The Honda HSS928ATD is a reliable choice that offers the quality that the manufacturer has accustomed their clients with. 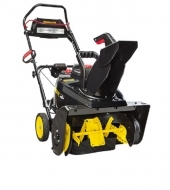 Although not the largest nor the most powerful unit, this one does a great job on large areas and can easily get you through the winter without any back or headaches. The price of $3,300 is one of the highest in the range but it will certainly make up for it with its high performance and incredible quality. 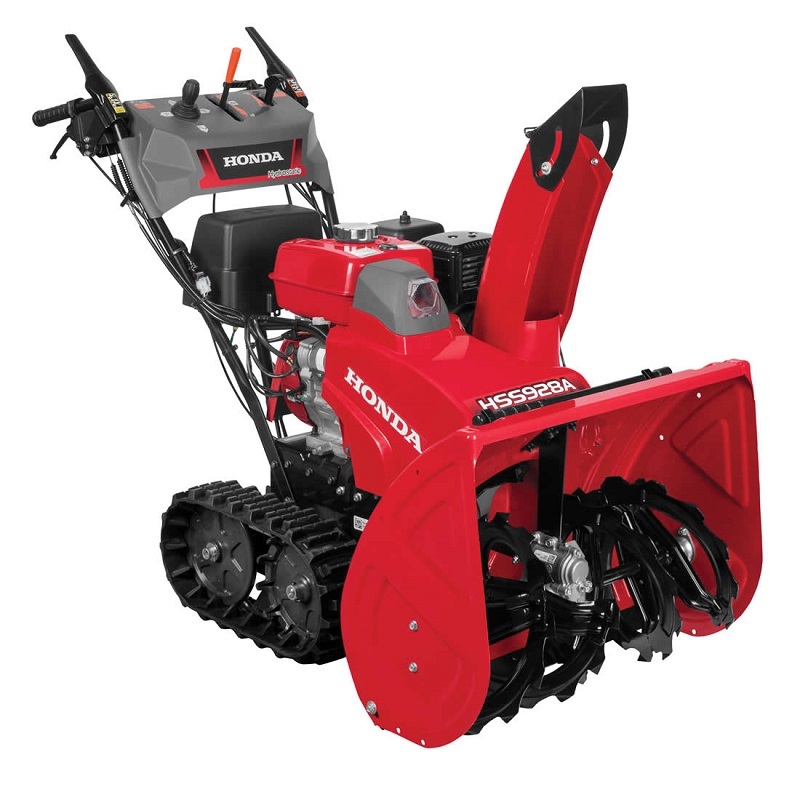 The great performance of this two-stage snow blower is due to the powerful commercial grade Honda GX270 engine that makes it suitable for the worst snow conditions. 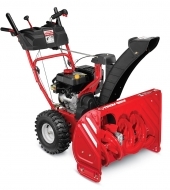 The 270cc engine is lit by a 12-volt key start and gets its juice from a 5.2-gallon fuel tank, features that ensure the unit can remove up to 1900 lb of snow per minute. 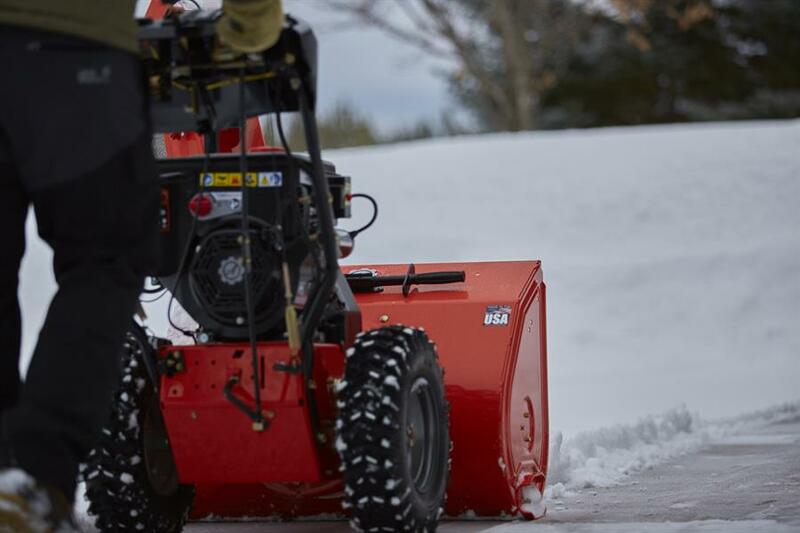 Thanks to the 27” clearing width and the 21.7” clearing height, the machine has no troubles in handling the largest snowfalls. 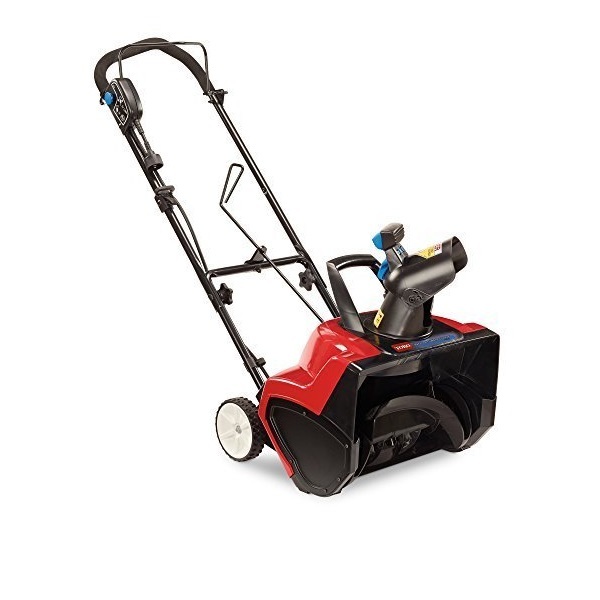 The Honda HSS928ATD snow blower features a height adjustable auger that allows you to set the height of the auger according to the type of surface so you can easily lower or raise the auger with the press of a thumb. 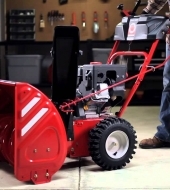 A pneumatic gas strut makes adjusting the auger extremely easy. 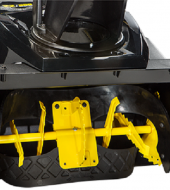 The auger drive shut and the impeller blower are protected by easily-changeable shear bolts that break at contact with a hard surface to prevent the auger from breaking. 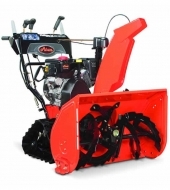 Both the auger and the discharge chute are made of heavy-duty reinforced steel that guarantees its durability. 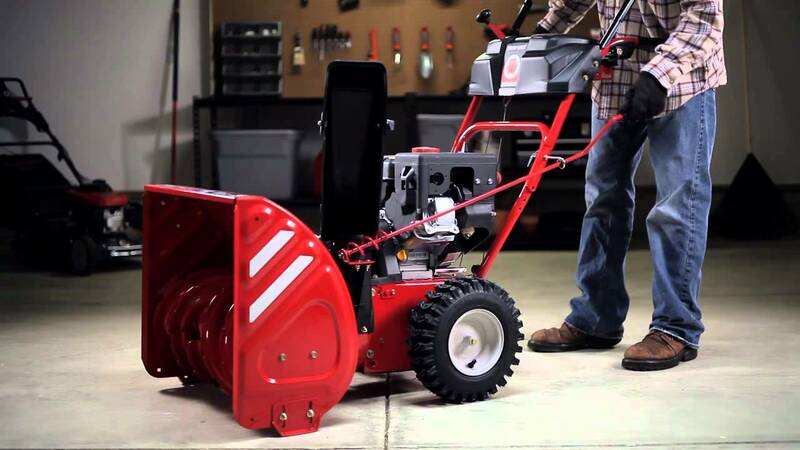 Thanks to the serrated auger, this snow blower easily cuts through ice and frozen snow. 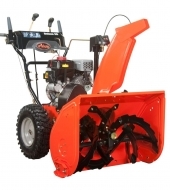 The discharge chute is articulated for maximum control of the direction and distance of the snow discharge. 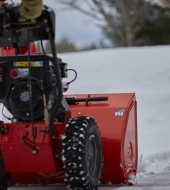 As most two-stage snow blowers, this one also has a fast-spinning impeller in the chute duct that throws the snow far away from the cleared site. However, the impeller is larger in diameter so the snow is thrown even further, at 52 feet away. 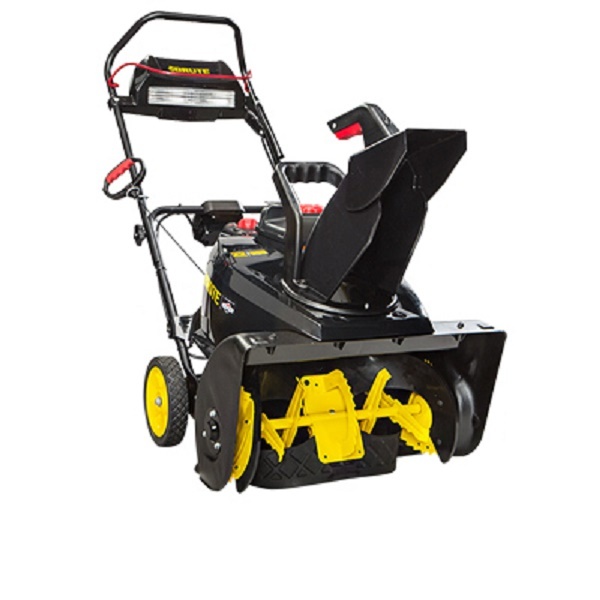 With the dual track drives, this snow blower can move through any type of snow and the temperature-resistant rubber ensures great traction on any weather. 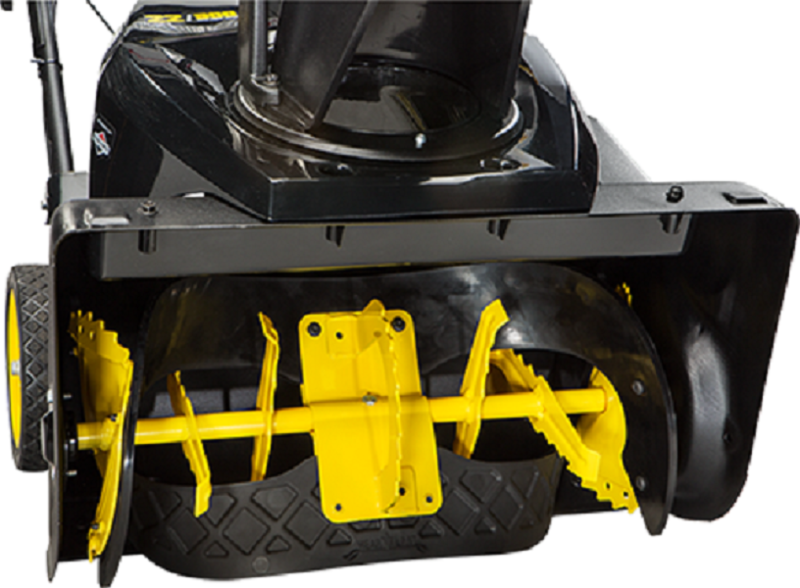 The unit also features reversible skid shoes that are twice as durable as regular skid shoes. 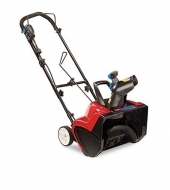 While other gas powered snow blowers require you to pull strings to turn the unit on, this one comes with a comfortable automotive-style electric key start that guarantees the unit will turn on at the turn of the key. 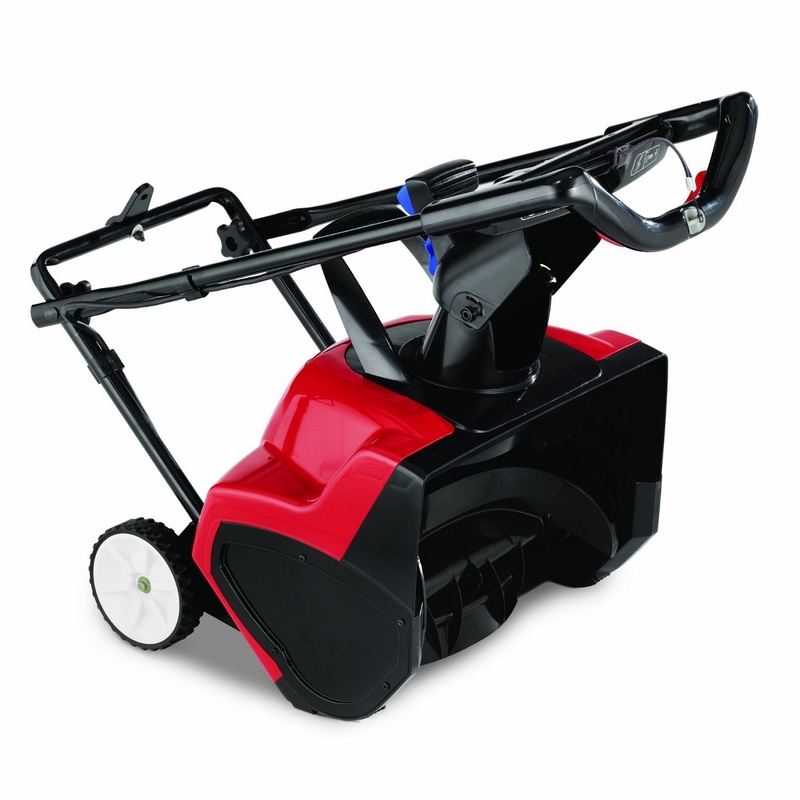 The machine also features a standard recoil start for backup purposes. No type of surface is a match for the hydrostatic track drive that keeps it stable on inclines and ice portions that could otherwise be tricky. Thanks to the variable throttle speed control, you can always pick the right speed for your own comfort and safety so every family member can use it with peace of mind. 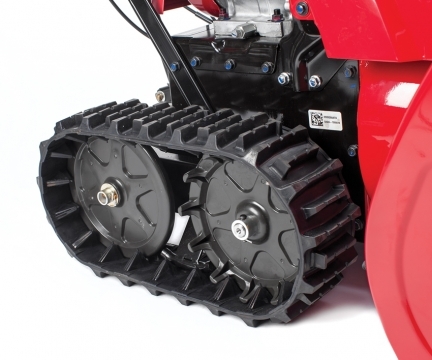 For added convenience, the machine comes with a chute clearing tool that allows you to safely remove the obstacle that might obstruct the chute. 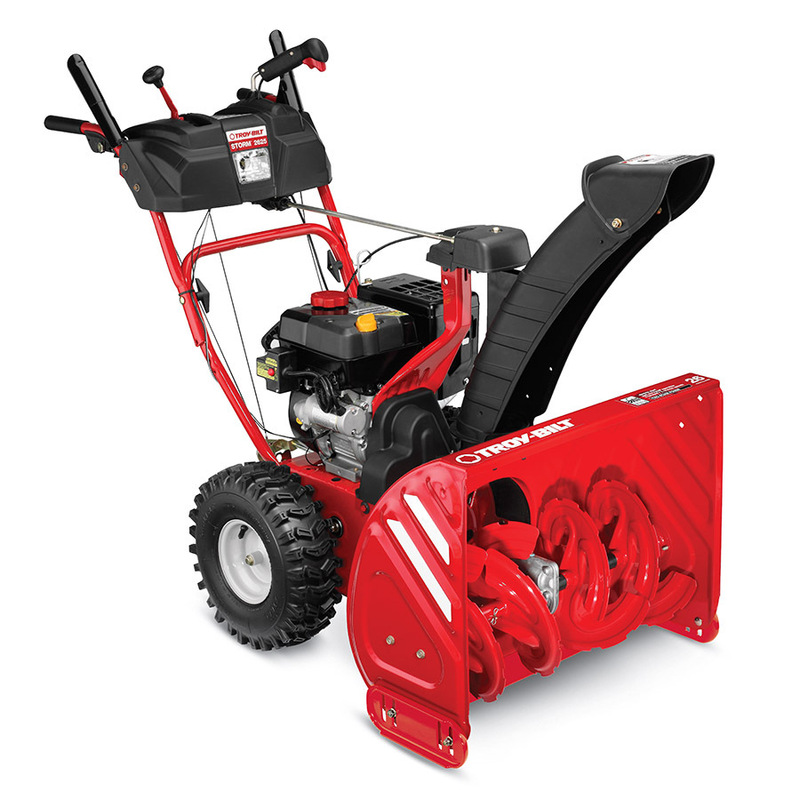 No other snow blower feels as smooth and easy to control as this machine that features an intuitive steering control with left and right control levers that make the unit easily transportable even when the engine is off. A feature worth mentioning is the 4-direction control electric joystick that changes the direction of the chute so you can decide where you want to throw the removed snow. 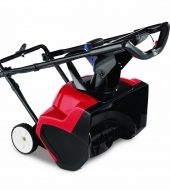 The snow blower easily adapts to the low-light conditions of winter due to the powerful LED headlight that allows you to use it in the evening or early in the morning. Nevertheless, the Honda HSS928ATD is one sturdy machine that impresses with its design and can adapt to any working environment. The overall unit measures 58.5″ L x 28.9″ W x 43.5″ H and weighs a total of 276 lbs, so it’s a heavy and bulky machine that will need some good storage space. 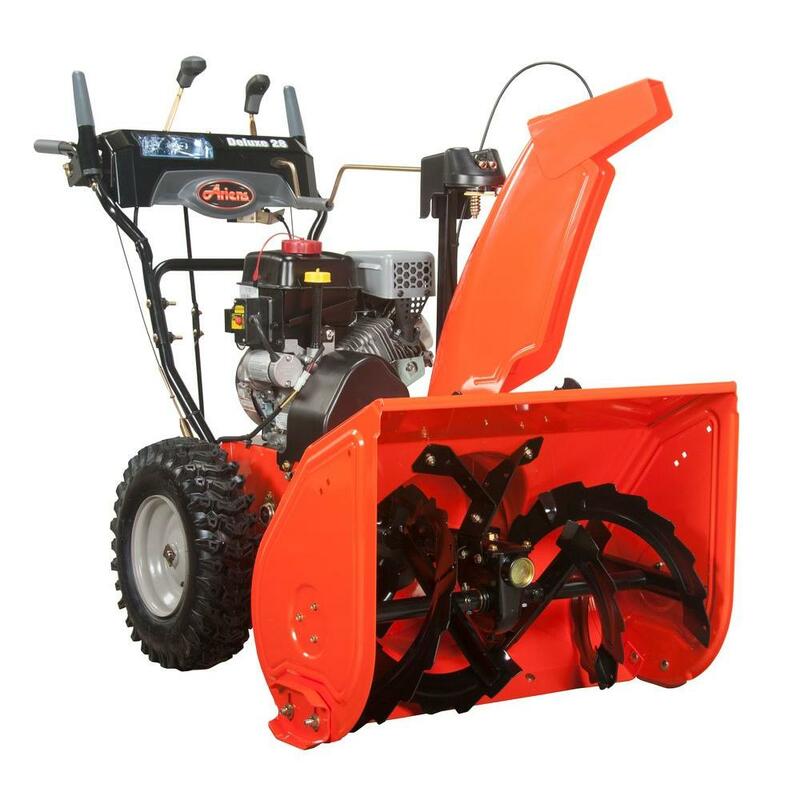 To allow it to handle the drifts of snow easier and to advance through the wet and heavy snow, the snowblower comes with track wheels that increase its adherence and stability. The control panel located at the handle is very complex and each lever contributes to the smoothness in use of this powerful machine. 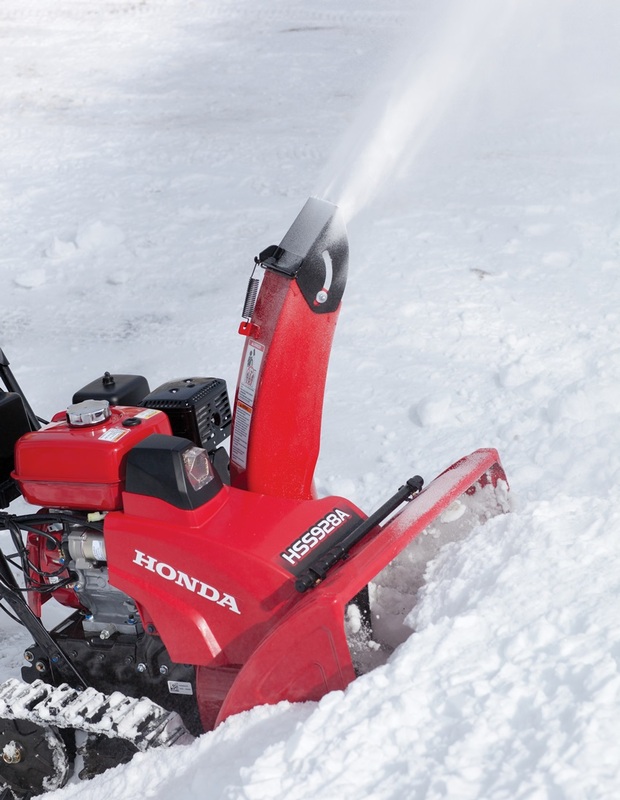 It is available in a red finish that makes it even more attractive and at the front, the Honda HSS928ATD features a large auger and the chute that releases the crushed snow. 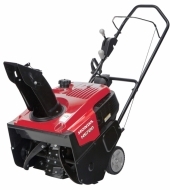 While some snow blowers feature separate warranties for the unit and the engine, the Honda HSS928ATD 270cc comes with a 3-year warranty that covers every part, regardless the residential or commercial use. As for customer support, you will find plenty of information on this unit online such as manuals and support videos and you can enjoy assistance through email and phone and all the information is available on the manufacturer’s official website.